Anyone have any advice for Iowa gal? will complete my coding training in Dec, and get my official community college coding certificate, and am just now being told by my instructor that getting a job in coding right away isn't realistic, said that I should just take a hospital billing or clerical job, and hopefully that will lead to a coding position. 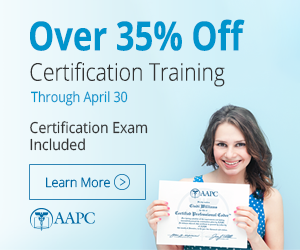 Should I attempt the CPC exam as soon as I complete my training, then look for a job as a CPC-A? Would that help my chances? Any help is much appreciated! Thanx! I think that taking the test as soon as you can is beneficial. Also you will still need 2 years of experience to remove the A from your CPC-A credentials once you do pass. Also getting a coding job without any credentials is not likely. You will need to start with anything you can in the medical office such as posting payments, medical records, collections...and work your way into the other positions. out as a Precertification/Referral Clerk. Plus did some coding of denials until I was hired when a coder in our organization left.